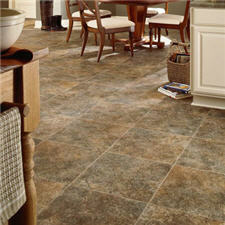 The major types of resilient floors are vinyl composition tile (VCT), sheet vinyl, linoleum and luxury vinyl tile. Most supermarkets feature resilient floors. Commercial customers base their selection on design specifications, application, budget and other considerations. Our stable of leading manufacturers provides complete color and design flexibility and coordination with sheet, tile and plank flooring options. The YS Flooring professionals use only high quality workmanship and install resilient floors according to specification. Complete customer satisfaction is always the goal. Resilient flooring is a type of flooring which is designed to be durable, resistant to stains and water, and comfortable to stand and work on. There are a wide range of styles within the resilient flooring category, at a range of price points from very affordable to more expensive luxury brands of flooring. 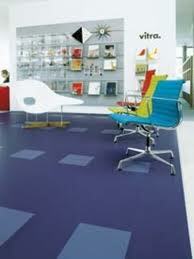 Many flooring stores stock resilient flooring, and they typically provide samples for interested customers to examine. 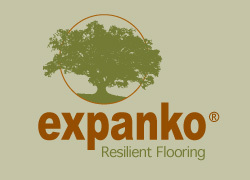 The most common types of resilient flooring are made from materials like cork, vinyl, linoleum, and rubber. These materials are all known for being extremely sturdy, and they also possess a natural springiness, especially when installed over a sprung subfloor. Springy flooring is much more comfortable to stand on, making resilient flooring a popular choice for kitchens, hospitals, retail stores, and other environments where people spend a lot of time on their feet. Cork and rubber are especially good for this, providing support and a springy surface which is enjoyable to walk on. Another common trait of resilient flooring is resistance to stains, which includes food, dirt, and liquids. Some floors are treated with an upper layer of wax to make them even more stain resistant and easier to clean. This flooring also resists penetration by water, making it less likely to become a breeding ground for mold and mildew, which can make a home unhealthy to be in. It also reduces the risk of damage to the subfloor.